Saturday May 31, 2014 in Waukesha Wisconsin, two twelve-year-old girls, Morgan Geyser and Anissa Weier, lured their classmate into the woods and attacked her. Geyser stabbed her victim nineteen times. The victim was able to get help and fortunately survived this horrific attack. Geyser and Weier were arrested and are currently in the judicial system awaiting trial as adults amid a flurry of competency hearings and other legal maneuvering. There are numerous questions that immediately come to mind when faced with such a heinous act. Why did this happen? How did two twelve-year-old girls conspire with each other to perpetrate this brutal act? What was the purpose of the act? Given their relative ages, and the up-close brutality and violence involved in stabbing a victim nineteen times, the attack is all the more disturbing and sinister. Interviewing Geyser, she told police she could speak telepathically with a fictional character named Slender Man. Geyser was promised that he would appear to her and Weier if she lured her victim into the woods and killed her. During competency hearings, Geyser also claimed she could speak with other fictional characters. This leads to two completely different theories. In reality, the first theory that is plausible is the scientific theory. This theory may be completely accurate. This is the theory that Morgan Geyser is an unbalanced individual suffering from mental illness, and she was able to convince Weier to participate in the attack. From this standpoint, we can sit back, watch the news, and ask ourselves why. disturbing because of it’s plausibility. This theory holds that, in a sense, Slender Man is “real,” though not to be confused with a fictional character such as Slender Man. But real in the sense that Santa Claus, a fictional character, is also real. Each November and December, thousands of older, heavy-set men don a white beard, red suit, and peaked cap. These men certainly aren’t really Santa Clause, but to small impressionable children they are for a time, and promises of gifts in exchange for good behavior help remind youngsters to obey. So what does Santa Clause have to do with Slender Man? Demonic spirits are clever, patient, and tricksters. They are the masters of disguise, the masters of manipulation, and the mortal enemy to God and mankind. The demonic seek our destruction both physical, and, more importantly, spiritual. Spiritual destruction can come in the form of gross sin. Acts so ugly and repugnant that repentance is difficult or even non-existent. Certainly premeditated murder falls under such a category. 1. The Slender Man in essence has asked these girls to worship him. 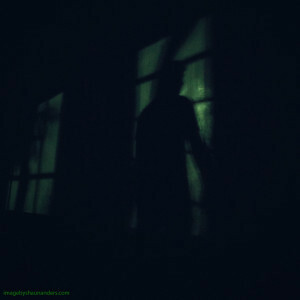 I have read numerous accounts and personally interviewed people who have had encounters with demonic spirits. There is a common theme involved in most all these encounters. These spirits demand to be worshiped in lieu of God. These Spirits rebelled against God. What better slight toward God than to coerce his children, us, to instead worship those who rebelled against him. Not only is this a slight against God, but it will lead to the spiritual and literal destruction of those who worship them. 2. The Slender Man asked the girls to commit a grave sin. Aside from the sin of worshiping the demonic spirits themselves, most offers from the demonic realm involve some sort of gross or grave sin. From my interviews and studies, these range from sexual perversions to murder. Although there is some disagreement in the Christian Community as to whether murder is an unforgivable sin, it is serious. Committing a murder not only will destroy the life of the murderer but negatively impact countless other lives. When a life is taken in an act of murder, the murderer has also taken away that person’s ability to live, love, grow, and repent of any wrong doing they may have needed to resolve in their life. If we assume this scripture is accurate, Morgan and Weier are being asked to potentially forfeit salvation by killing their classmate. 3. The Slender Man promised a reward in exchange for committing the grave sin. Of course, just because someone purporting to be a fictional character asks us to do something against our natures doesn’t mean we will follow through. There has to be some sort of carrot to make that option appealing. In this case there was a promise: if the girls worshiped Slender Man, and killed their classmate, they would be his proxies, his disciples if you will, and they would be allowed to live with him in a mansion in the forest. This likely sounds absurd to most of us, but remember demonic spirits are cunning and in some cases know us better than we know ourselves. This evil spirit was intentionally masquerading as a character it knew the girls had a consuming interest in. It knew that by playing on that interest it could reel them in hook, line, and sinker. The demonic spirit knew this would be a successful approach, and by appearing to the girls in the form of Slender Man, a “real” figure, the girls would immediately believe that all the fictional stories were true. 4. The Slender Man threatened the families of the girls if they didn’t follow through with the murder. Asking a pair of twelve year old girls to commit murder is a tall order. Masquerading as the Slender Man to prove to them that a beloved fictional character was real, then heaping promises on them, might not have been enough to tip the balance in their decision to murder their classmate. With any promise from the demonic there is a razor sharp thorn hidden among the petals of the supposed rose. For the demonic entity, once Geyser and Weier bought into the deception this became a win-win situation. If the girls succeeded they would find there was no true reward. They would have committed a grave and potentially damning sin in exchange for nothing–empty promises. They would have to face harsh legal consequences, and their lives would be in shambles as we have seen through the news media. Had the girls refused to participate, it is likely they would have had further promptings from the Slender Man and deeper levels of demonic oppression until they agreed, or their families were ripped apart by the torment. Geyser that she was speaking telepathically with Slender Man, and Weier’s talk of communicating through dreams, it’s a hard theory to easily dismiss as these are known ways demonic entities use to communicate. Also, looking at the patterns of demonic encroachment, infestations, and oppression as outlined above, it isn’t a hard theory to speculate on. Again, for the entity, it is a win win situation. Portraying itself as a fictional character to talk to the girls, it stays hidden in the shadows. Even with the girls talking about it, it merely comes across as mental illness. If this theory holds true, this begs the bigger question of how this entity came into these girls’ lives. This unfortunately must come as more speculation. There are two likely scenarios on how this happened. 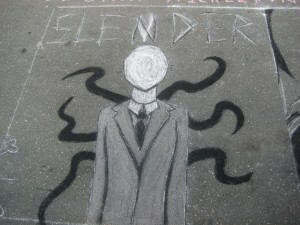 The first probably deals with an obsession with Slender Man by Geyser. Geyser, regardless of whether she suffered purely from mental illness or had demonic influence, likely had an unhealthy obsession with the fictional character. Demons tend to exploit weakness. It is possible Geyser was obsessed with the character to the point of worship, or due to her fixation attempted, in some form or other, to communicate with a character she felt may be real. A demonic entity would leap on this opportunity seeing a doorway to exploit Geyser. Reaching out to Geyser, she would reciprocate and build a relationship with what she perceived to be Slender Man. The second theory is similar, but would rely on a demonic entity already in the home or attached to Geyser. This entity would have subtly pushed Geyser to seek out Slender Man, and would have built her obsession with Slender Man, and pushed her to reach out to the entity. The end result is the same. From that oppression of Geyser, getting her to reach out to Weier, and then the entity itself reaching out to Weier in her dreams, it is a slippery slope to the horrific act of murder in the name of Slender Man. Short of interviewing the girls, seeing the full results of their psychological evaluations, and doing a full investigation of the girls and their home, we will likely never know the true story behind the Slender Man stabbing. In reality, it could be something as simple as mental illness. However, looking deeper past the surface, something more sinister is lurking.